The sun, at one moment surrounded with scarlet flame, at another aureoled in yellow and deep purple, seemed to be in an exceedingly swift and whirling movement, at times appearing to be loosened from the sky and to be approaching the earth, strongly radiating heat. —Dr. 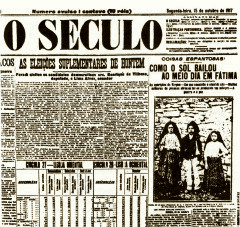 Domingos Pinto Coelho, writing for the newspaper Ordem. Other eyewitnesses reported much the same, emphasizing one aspect or another of the phenomenon that was witnessed. The sun’s disc did not remain immobile. This was not the sparkling of a heavenly body, for it spun round on itself in a mad whirl, when suddenly a clamor was heard from all the people. The sun, whirling, seemed to loosen itself from the firmament and advance threateningly upon the earth as if to crush us with its huge fiery weight. The sensation during those moments was terrible. —Dr. Almeida Garrett, Professor of Natural Sciences at Coimbra University. As if like a bolt from the blue, the clouds were wrenched apart, and the sun at its zenith appeared in all its splendor. It began to revolve vertiginously on its axis, like the most magnificent firewheel that could be imagined, taking on all the colors of the rainbow and sending forth multicolored flashes of light, producing the most astounding effect. This sublime and incomparable spectacle, which was repeated three distinct times, lasted for about ten minutes. The immense multitude, overcome by the evidence of such a tremendous prodigy, threw themselves on their knees. —Dr. 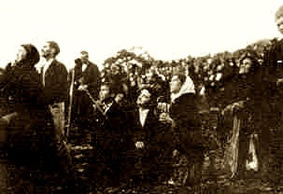 Formigão, a professor at the seminary at Santarém, and a priest. 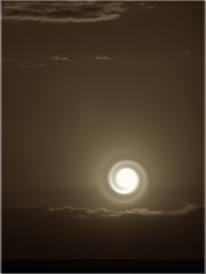 In my long and ongoing debates with an atheist, he sent me an article from www.answers.com titled Miracle of the Sun. 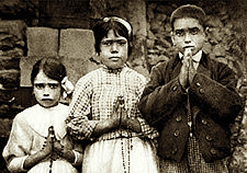 It was his attempt to show that science can explain away every single miracle—including what occurred at Fatima. Now, what happened there may be considered one of the most remarkable public miracles since the time of Christ. Given that three children predicted that it would occur, as they were allegedly told by the Mother of God herself, the stakes are high. Add to that the fact that atheists, socialists, the secular press and opponents of the Church were present, this would really seem to be the créme de la créme miracle to debunk. Joe Nickell, a skeptic and investigator of paranormal phenomena, rightly notes that the “Sun Miracle” has also allegedly occurred at various Marian sites throughout the world. During one such instance in Conyers, Georgia in the mid-1990s, a telescope outfitted with a “vision-protecting Mylar solar filter” was pointed at the sun. It is worth noting that at other Marian sites, the miracle of the sun, while reportedly witnessed by many, is usually never witnessed by all. This was also the case at Fatima. Why only some see this “miracle” is a mystery. Is it a “gift” for some for a particular reason in their lives? Some people I have spoken to, who have claimed to have seen the miracle of the sun in modern times, have tried to record with a camera what they were witnessing. However, the sun appeared normal on film or video tape. Eyewitness accounts are pretty much all we have to rely on, it seems. This usually presents a problem of subjectivity. 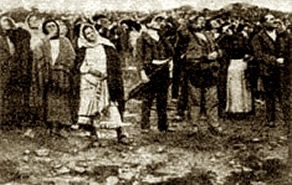 However, in the case of Fatima, the sheer number of witnesses bolsters the case that something extraordinary took place. 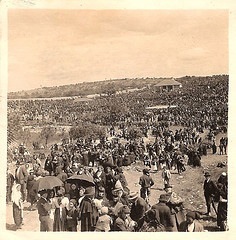 The fact that not everyone in Portugal that day witnessed the event adds to the evidence in support of a miracle, since, a solar phenomenon passing over the country could and should have been witnessed by all present at the site. It has long been established by ophthalmologists that to stare into the sun can cause permanent eye damage. It can take as little as seconds before temporary or permanent damage can begin to occur. 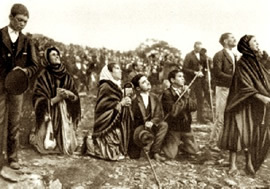 In the reports from eyewitnesses in Fatima, the miracle of the sun lasted not seconds, but minutes, and perhaps as long as “ten minutes.” Eyewitnesses stated that the clouds had broken and “the sun at its zenith appeared in all its splendor,” and so onlookers were staring directly at the sun. To stare at the bare sun at noon for even a minute—if that were even possible—would likely have been enough to cause permanent eye damage in at least a few people. But out of tens of thousands of people, there were no reports of a single person having incurred eye damage, let alone blindness. (On the other hand, this has occurred at some alleged Marian apparition sites where certain people have gone looking for a miracle). Professor Meesen’s logic further falls apart by stating that the dancing effects of the sun were merely the result of retinal after-images. If that were the case, then the miracle of the sun witnessed at Fatima should be easily duplicated in your own backyard. In fact, to be certain, the thousands gathered that day would have looked up at the sun later that afternoon and in the days following to see if the miracle would repeat. If the “miracle” that October 13th was only the result of retinal images or “the bleaching of photosensitive retinal cells,” the skeptics and secular newspapers who had earlier been ridiculing the three shepherd children would surely have pointed this out. The aftermath of excitement would have quickly dissipated as people began to readily duplicate “retinal after-images.” The opposite is true. Eyewitnesses described the sight as a “prodigy,” something “incapable of describing,” and a “remarkable spectacle.” What is remarkable about something that one could easily duplicate an hour later? In no cases do we read of any eyewitnesses reporting lingering optical effects. The prodigy seemed to simply end when the sun, after appearing to zig-zag to the earth, resumed its normal course; eyewitnesses reported that the phenomenon lasted only so long and then abruptly ended. However, if Nickell’s explanation were true, the retinal distortion should have continued as long as people continued to stare at the sun… an hour, three hours, all day long. This contradicts reports that indicate that the miracle had a definitive ending. Furthermore, eyewitnesses specifically noted that the sun did not appear as an ‘intense light,’ but rather it appeared “pale and did not hurt my eyes” and “enveloped in… gauzy grey light” and began to emit “multicolored flashes of light, producing the most astounding effect.” It is worth noting that during an eclipse of the sun, or when the sun is under thick cloud covering, it can be looked at without any perceived discomfort. However, in these cases the sun is blocked by another object, and in fact, can still cause serious and permanent harm. Once again, this hypothesis contradicts eyewitness reports. 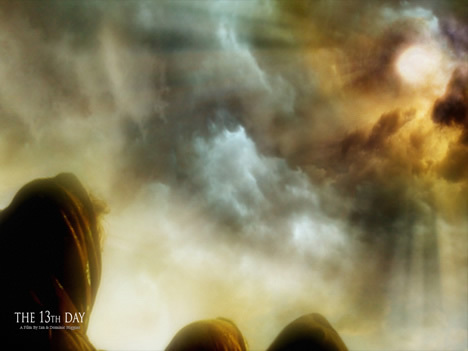 Not everyone present at Fatima that day witnessed a miracle in the sky. If this was a solar anomaly, a “cloud of stratospheric dust” that lasted several minutes, surely it would have been in plain view to everyone. Campbell’s assertion also falls short of explaining the third aspect of the spectacle that day: the sight of the sun zig-zagging and appearing to hurl toward to the earth. Lastly, such a stratospheric dust cloud would surely be an event that no one could predict months in advance in that time period, let alone three sheep-herding children. There comes a point where a skeptic turns into a fanatic. That is, one who refuses to face the truth despite the overwhelming evidence. Here in Canada, I witness regularly the solar effect known as a “sun dog.” It appears, not within the sun, but quite far off to the left or the right or sometimes above. 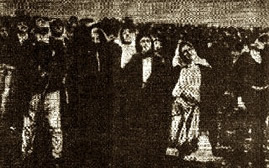 However, at Fatima, observers described the sun itself—not objects close to it—as putting on a spectacle. 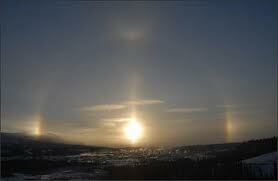 Besides, as pointed out, sundogs are stationary. They are bright refractions of light that appear like small, vertical rainbows. They are pretty, no doubt. But seeing them myself on a frequent basis, they look nothing like what has been described as the “miracle of the sun,” and no more inexplicable than a rainbow after a storm. 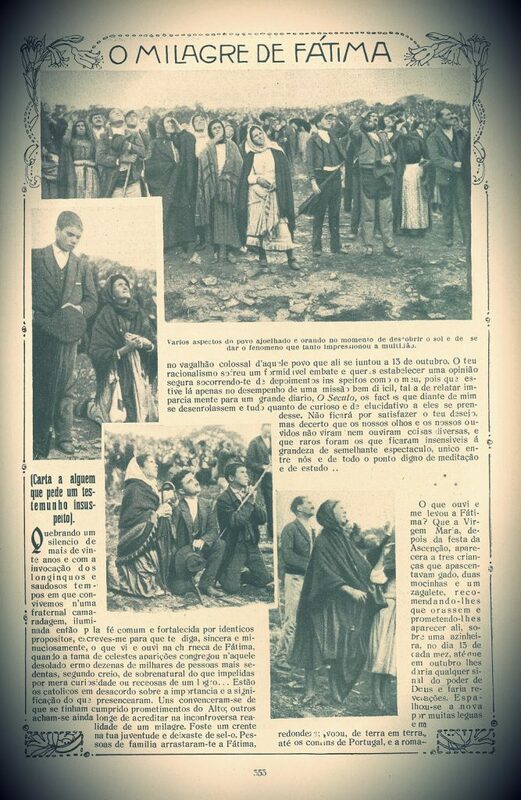 Paul Simons, in an article entitled “Weather Secrets of Miracle at Fátima”, states that he believes it possible that some of the optical effects at Fatima may have been caused by a cloud of dust from the Sahara. — “Weather Secrets of Miracle at Fátima”, Paul Simons, The Times, February 17, 2005. Odd that no one present that day commented on dusty weather. On the contrary, it was pouring rain—which tends to dampen a dust storm quite quickly. Here, it must be said, that the idea that some sort of natural phenomena contributed to what is known as “the miracle of the sun” is not incompatible with the miracle. Just as God saved mankind working through nature—the incarnation of Jesus Christ in the womb of a virgin— so too, miracles do not necessarily eliminate the “participation” of nature. What makes a miracle a miracle is that some aspect of the event is inexplicable and can only be explained as supernatural in origin. Catholicism is not opposed to science. It is opposed to atheism that makes science into a religion and the answer to all things existential. And neither has the Catholic Church, to her credit, historically been in a hurry to declare something a miracle. She often takes years to study events and eliminate the possibility of a hoax. 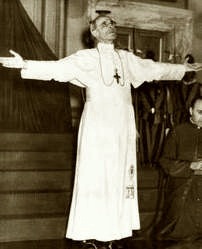 The event was officially accepted as a miracle by the Roman Catholic Church on 13 October 1930. 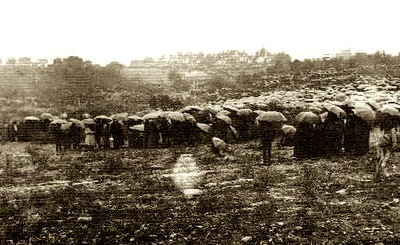 On 13 October 1951, papal legate Cardinal Tedeschini told the million gathered at Fátima that on 30 October, 31 October, 1 November, and 8 November 1950, Pope Pius XII himself witnessed the miracle of the sun from the Vatican gardens. —Joseph Pelletier. (1983). The Sun Danced at Fátima. Doubleday, New York. p. 147–151. 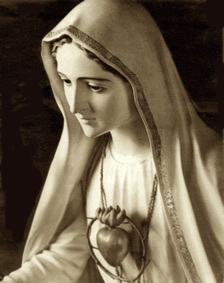 While some scientific explanations have been proposed as to what happened that October day, none completely satisfy logic and the overall picture: that three small children were told by the Blessed Virgin Mary, months in advance, that at noon on the 13th, a miracle would occur. An extraordinary and inexplicable event occurred as predicted. If the atheist refuses to believe in a supernatural event he was not alive to witness, perhaps he is able to recognize that a prophecy made by the Mother of God last century is being fulfilled right before his eyes. Posted in HOME, A RESPONSE, SIGNS and tagged apparition, Fatima, miracle of the sun, portugal, sr. lucia, phenomeon, paranormal, pope pius xii, skeptic, seers, blessed virgin, MARY, spinning sun, zigzag, miracle.